Santa Fe, NM — The Santa Fe Pro Musica Orchestra presents a must-see concert featuring super star violinist Midori. The concert opens with Beethoven’s Symphony No. 8 in F Major, Op. 93, followed by Musica Celestis by Aaron Kernis. For the grand finale, Midori takes to the stage to perform Schumann’s Violin Concerto in D Minor. 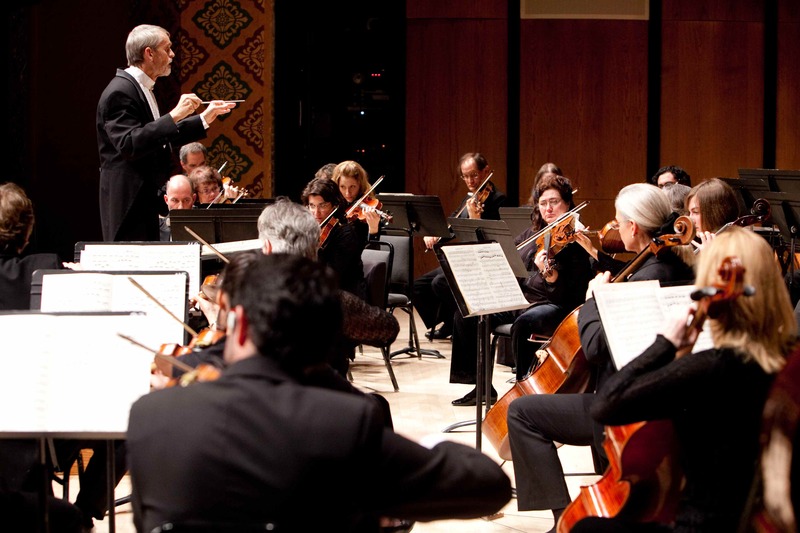 March 1, 2015 at 5:30pm, following Midori’s performance of Schumann’s Violin Concerto with the Santa Fe Pro Musica Orchestra and Thomas O’Connor, conductor. 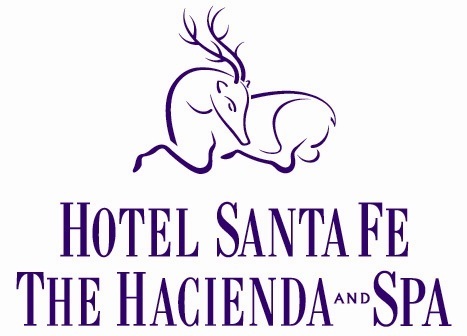 $150.00 per person ($75.00 tax deductible) – Advanced reservations required. Creative, Seasonal Four Course Menu, selected and prepared by award winning chef Martin Rios, paired with wines crafted by Bump Wine Cellars (winner of 10 best glasses: California Food and Wine Magazine, October 2014 for their 2009 Zinfandel). Please reserve by Wednesday, February 18, 2015 as seating is limited for this exclusive event. Please include dietary requests with your reservation. Beethoven completed his 7th and 8th symphonies in quick succession in the spring and summer of 1812. Although his life was laden with difficulties (money, work, romance, family and health), 1812 was an especially hard year. He was involved in a love affair, probably with a married woman, and unleashed his despair in the famous “Immortal Beloved” letter. He then fled to the home of his brother Johann who threw him out after getting too much unsolicited advice about his choice of wife. And, finally, Beethoven realized he was truly and irrevocably deaf. And what evidence for all this turmoil is there in his Symphony No. 8? None at all! It is full of good cheer, musical jokes and lebensfreude. Kernis is an award winning American composer, winning three BMI Foundation Composer Awards, the Grawemeyer Award (2002), a Pulitzer Prize (1998), and a Grammy nomination. He is currently on the Yale School of Music faculty. Kernis writes that his Musica Celestis was inspired by the medieval title’s reference to heavenly angels singing praises of God. Musica Celestis, originating as a movement of his first string quartet (1990), was arranged for string orchestra a year later. The music begins with a series of sustained chords whose ethereal sonorities recall the opening moments of the Prelude to Wagner’s Lohengrin. Then long strands of melody entwine in counterpoint and suggest another American composition for string orchestra, Samuel Barber’s Adagio for Strings. Kernis’ music follows a simple, spacious melodic and harmonic pattern through a number of variations, and is framed by an introduction and coda. It begins very quietly, builds to an intense and impassioned climax, and subsides to a quiet conclusion. “Although it is difficult to characterize succinctly Schumann’s large and varied output, it is fair to say that Romantic reverie, mercurial caprice, solemn grandeur, and ecstatic effusion all have their place in it” (Paul Schiavo, Seattle Symphony Orchestra). Schumann came from a family that was plagued by mental illness. He struggled with it himself for most of his life, relentlessly writing music through bouts of contemplated suicide and months of depression. Finally, in February 1854, increasingly tortured by hallucinations, he asked to be taken to an asylum, where he died on July 29, 1856. Schumann wrote his only violin concerto late in 1853, his last major work, and intended it for Joseph Joachim, one of the 19th century’s greatest violinists. Joachim played through the concerto for Schumann at an orchestra rehearsal, but never performed it. Instead, he ignored the piece, which he considered not up to Schumann’s usual standards, implying that he felt the concerto’s music reflected Schumann’s declining mental state. In 1907, after Joachim’s death, the concerto was given to the Prussian State Library. Here it remained forgotten until 1937 when the Hungarian violinist Jelli d’Aranyi (1893-1966) claimed to have contacted Schumann’s spirit and was told the concerto’s whereabouts. It must be noted, however, that d’Aranyi was the grandniece of Joseph Joachim, so it is quite plausible that she had some insider’s information. The great violinist Yehudi Menuhin soon received a copy and declared it was “romantic, heroic, supplicating, and tender” and that “this concerto is the bridge between the Beethoven and the Brahms concertos.” He performed it in 1938. The next performance was 23 years later (1961) with Henryk Szeryng and the Boston Symphony. Another 42 years go by until the next performances by Leonidas Kavakos and the Philadelphia Orchestra (2003), Gidon Kremer with Staatskapelle Berlin (2004), and a recording with Joshua Bell and the Cleveland Orchestra (2010). Only now, more than 150 years later, Schumann’s Violin Concerto has entered the standard violin repertory and is recognized as one of his most moving works. 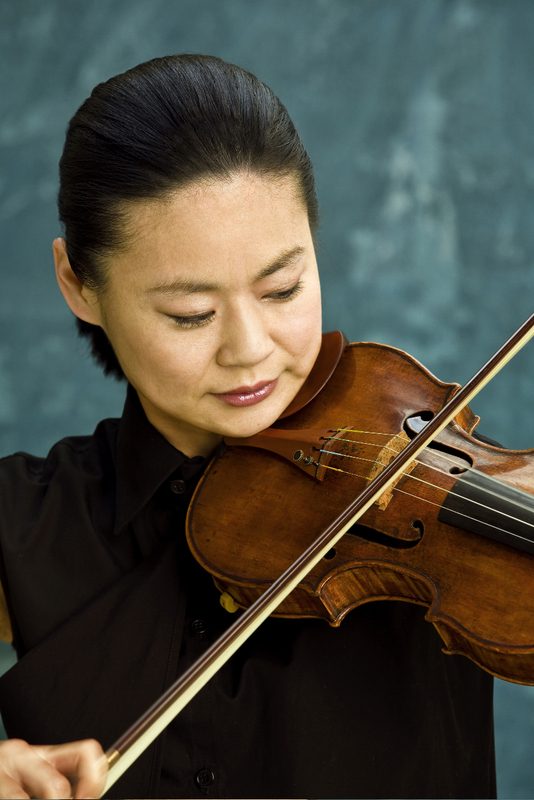 Midori is an extraordinary violinist, a devoted and gifted educator, and an innovative community activist. She presents a new model for artists who seek to balance the joys and demands of a performing career with hands-on investments in the power of music to change lives. 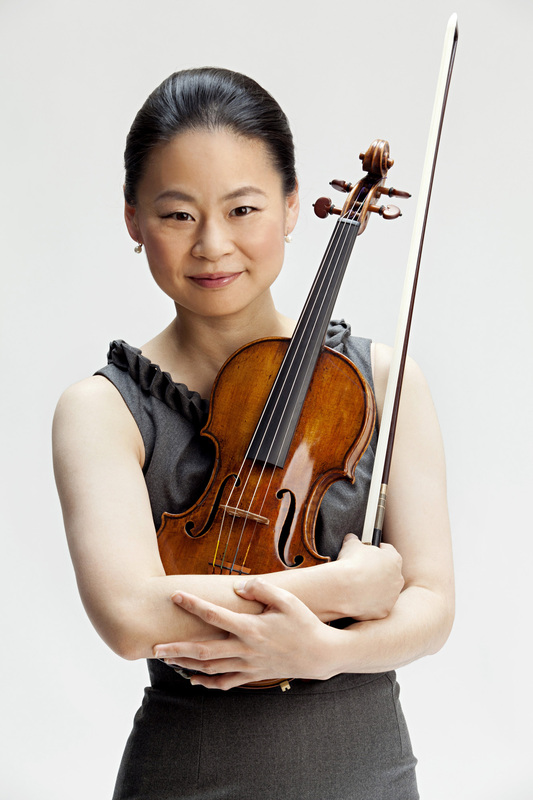 Midori has maintained an international presence for almost three decades, performing about 100 concerts a year, leading varied community and charitable projects, and serving as Chair of the Strings Department and Jascha Heifetz Chair in Violin at the University of Southern California’s Thornton School of Music. Performing as Midori (first name only), she has spent her life before the public in virtually every major international capital and cultural center. Her performing schedule is balanced between recitals, chamber music, and appearances with the world’s great orchestras. Her expansive discography culminates most recently in The Essential Midori, a compilation issued by Sony Masterworks. Working as Midori Goto (full name), she has founded a series of successful non-profit organizations and youth-directed projects. Midori and Friends, created in New York City in 1992, brings musical education to underprivileged children in partnership with the city’s public schools. Partners in Performance, based in the U.S., and Music Sharing, formed in Japan, brings music making to smaller communities that are typically underserved by the arts. In recognition of such activities, the U.N. Secretary-General, Ban Ki-moon, named Midori a “Messenger of Peace” in 2007. Midori was born in Osaka, Japan in 1971. Her mother Setsu Goto discovered her daughter’s innate musicality at the age of two when she heard Midori humming a Bach theme. Midori began playing the violin at the age of three. In 1982 she moved to New York City where she studied at the Juilliard School Pre-College Division. Her audition piece was the fantastically formidable 13-minute Chaconne by J. S. Bach. When the great conductor Zubin Mehta first heard Midori play (1982), he invited her to make her celebrated debut (at the age of 11) at the New York Philharmonic’s traditional New Year’s Eve concert. Three years later an extraordinary concert with Leonard Bernstein and the Boston Symphony made front-page news in the New York Times, and her career was off and running. At 15, Midori left the Juilliard School and embarked on a major performance career. She returned to school in 2000, earning a Bachelor’s degree in Psychology and Gender Studies, followed by a Master’s degree in Psychology from New York University. In 2001 she received the coveted Avery Fisher Prize in recognition of her outstanding achievements in the field of classical music. In 2012 she received the prestigious Crystal Award at the World Economic Forum, was elected to the American Academy of Arts & Sciences, and was awarded an Honorary Doctorate from Yale University. In 2013 she was the Humanitas Visiting Professor at the University of Oxford in England. Midori is at the forefront of enriching people’s lives through widely diverse and creative endeavors.